Professional painters and decorators in London can handle any painting job you've got waiting. We’ve got the necessary skills and equipment to finish the job quickly and efficiently without causing a mess. The necessary measures to ensure that the service won’t cause a mess at your place will be taken. For example, when the experts are painting your walls and ceilings, they’ll place a drop cloth on the floor to prevent unwanted splatters and accidental spills. 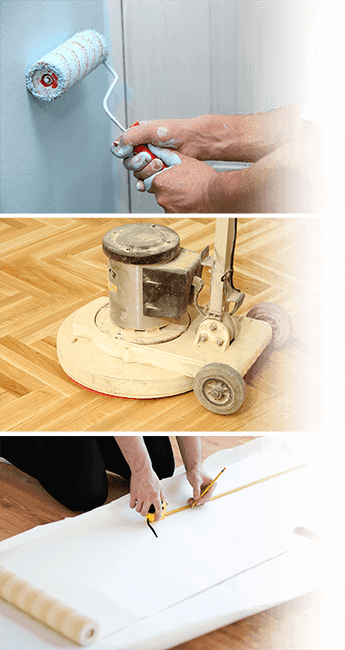 The handyworkers do their job carefully and efficiently, without wasting any time. The high quality of the work done is guaranteed. Also, all our rates are final. You are only charged for the actual time it takes the handymen to finish with the painting and decorating. The minimum call-out time is 1 hour. After it, you are charged for every half an hour. Your feedback means a lot to us. This way we are able to maintain our standards high, and to guarantee the high quality of the work done. 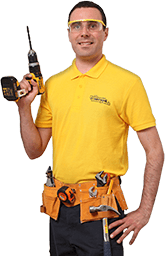 We follow the performance of each Fantastic Handyman regularly to ensure that you are happy with the job they’ve done. You can refresh your property with just a few small interior changes. Rely on your painter to handle anything from siliconing, sealing baths and adding a few wall stickers to filling cracks and holes, painting and wallpapering. Would you like to book your painter-decorator right away? Give the online booking form a try or download the GoFantastic app to hire your handyman in just 30 seconds. You can also use it to book other services for your place such as professional cleaning, pest control, gardening, and much more. Even if you are busy during the week, we got you covered as our services are available on weekends as well.